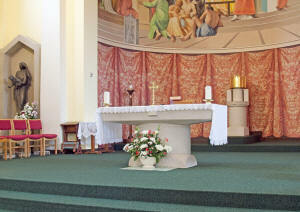 Church & Services - Welcome to St Lawrences Church in Feltham, Middlesex. Welcome to the section of our site that gives information on Mass Times, Special Services that are held during the year, and the lay Ministries that support our worship. It also tells you about St Lawrence, after whom our church is named.